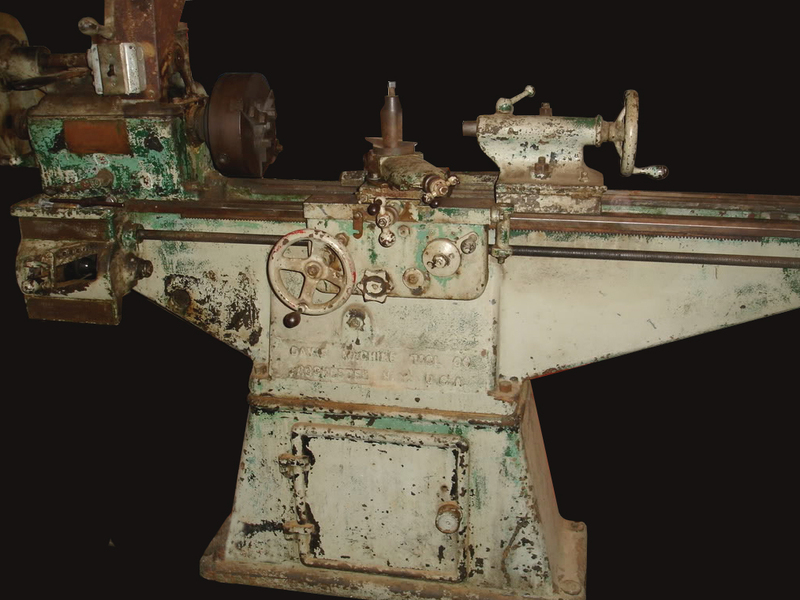 Manufactured by the Davis Machine Tool Company Inc. of Rochester, NY during World War 1, the "Liberty" lathe was intended for use in military mobile workshops. With a centre height of 6 inches and taking around 30 inches between centres, it was cleverly designed to be not only a compact machine but also, with its cantilever bed, as rigid as possible even when mounted on a less-than-suitable bench in a vehicle that might have parked on a rough, uneven surface. Around eight hundred are reported to have been built for the Government, but with production continuing through 1919 and beyond for the civilian market. Fitted with a proper Norton-type, tumbler-equipped screwcutting gearbox and power sliding and surfacing feeds (the drive being through changewheels and a tumble-reverse mechanism), the lathe was built on an unusually wide and deep bed with V and flat ways that continued on past the front and rear faces of the headstock. Following ideal principles, the carriage had a saddle with long, equal-length but plain wings that allowed the cross slide to positioned exactly on its centre line - and so receive the best possible support. The arrangement was possible because the bed ways ran on past the front and back faces of the headstock, so allowing the saddle to overlap it and bring the cutting tool right up to the spindle nose. A proper compound slide rest assembly was fitted, the top slide of which appears to have been able to rotate 45° each side of zero, complete with small micrometer dials on both feed screws. Self-contained, the drive system was, for the time (circa 1915 to the early 1920s), of unusually neat construction and completely guarded. With a motor built onto the back of the bed, a chain took the drive upwards to a horizontal shaft that passed forwards, above the headstock, to drive the spindle gearbox. Electrical switchgear was also built in, a large reversing switch being fitted to a bracket carried on top of the headstock with power, on some versions, coming from an input box bolted to the front face of the bed. It seems that the lathe was supplied on a short, cast-iron plinth with sloping sides fitted with a door on the front to enclose a small tool cabinet. 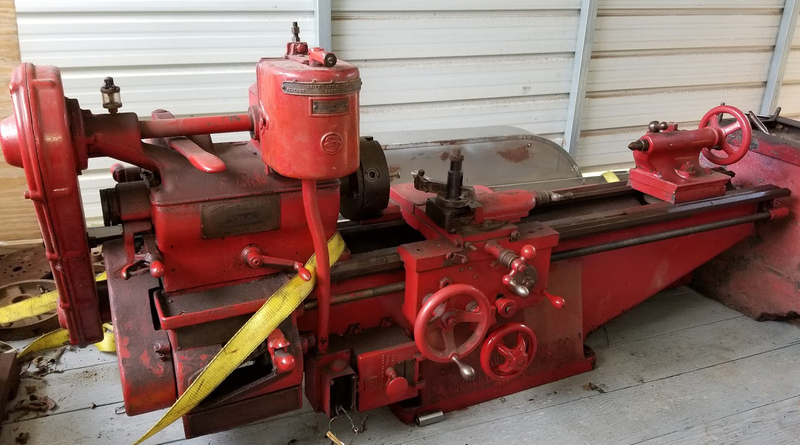 If you have a Liberty lathe, the writer would be very interested to hear from you.